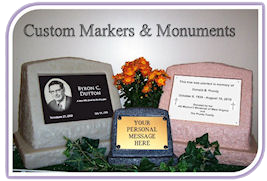 This plaque is a laminated impact acrylic, bronze in color on one side and black on the other. When it is engraved the bronze color is removed and the letters or picture show up in black. 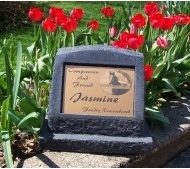 These plaques are UV stable, outdoor weatherproof, with a non-glare surface that is easy to read, and fingerprint resistant. Use with black and white photos. If color photos are used, they will be converted to black and white before engraving is done.